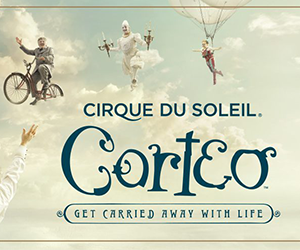 Enter here every day for a chance to win 2 tickets to see Cirque du Soleil Corteo at Canadian Tire Centre in Ottawa. So, uh, what’s the resell market on Cirque tickets? I’m just curious. Good Luck!